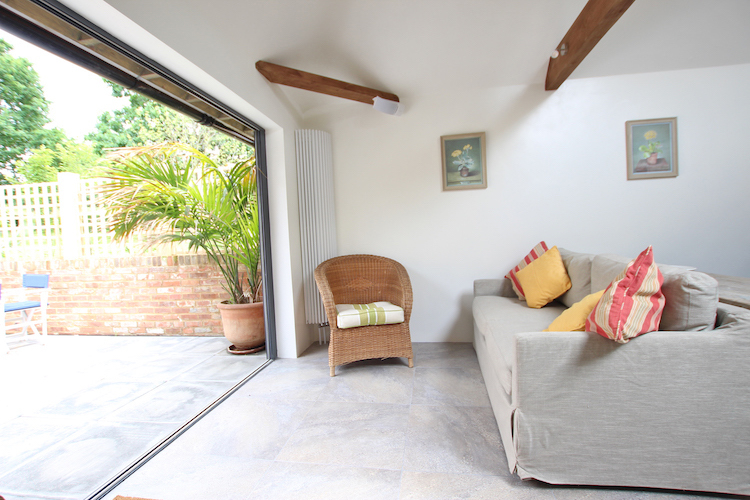 Stunning contemporary renovation in the heart of Woodchurch Conservation area with views across the village green. 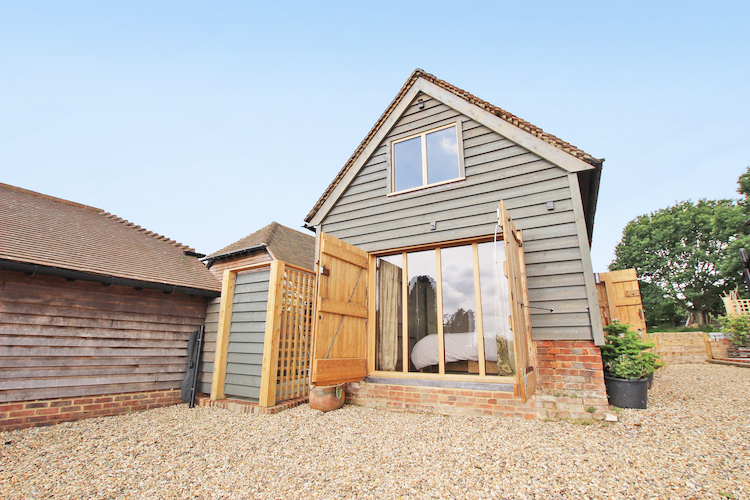 This detached barn offers modern living with hints of the original building, with its vaulted ceilings and exposed beams. 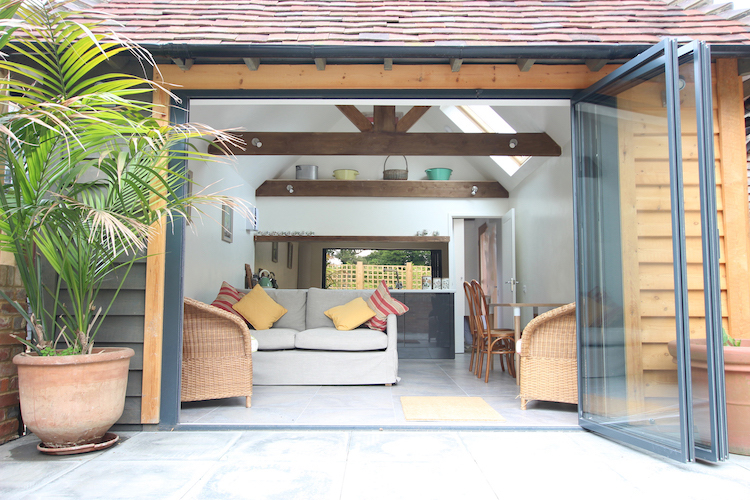 The amazing bi-fold doors open to blend the outdoor space with the lounge, kitchen and dining area – perfect for al fresco eating and a great spectacle! 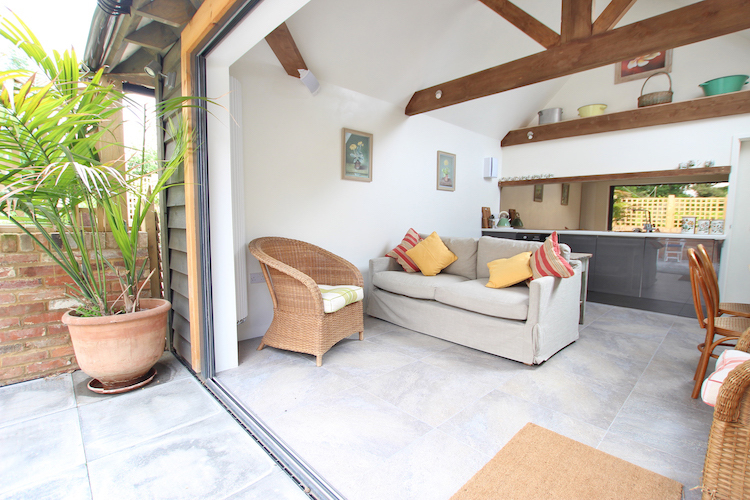 This is a brilliant central location for visiting all parts of Kent and with easy links into London by car or high speed train. There are great walks from the barn or bring your bikes! 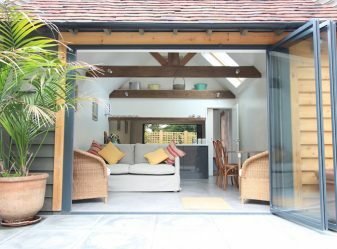 The open plan kitchen, dining and lounge area seamlessly opens out to the patio area creating one large space, blending indoors with the outside. 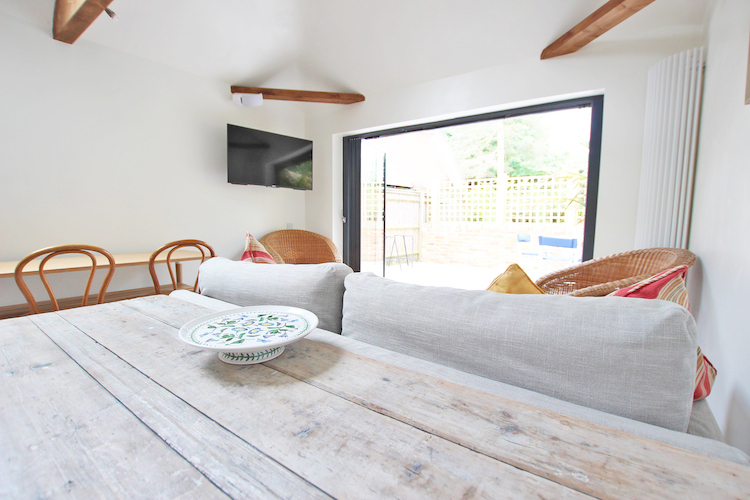 The contemporary kitchen includes a dishwasher and fridge, there is seating for 4 people with dining and in the lounge as well as a digital flatscreen TV. 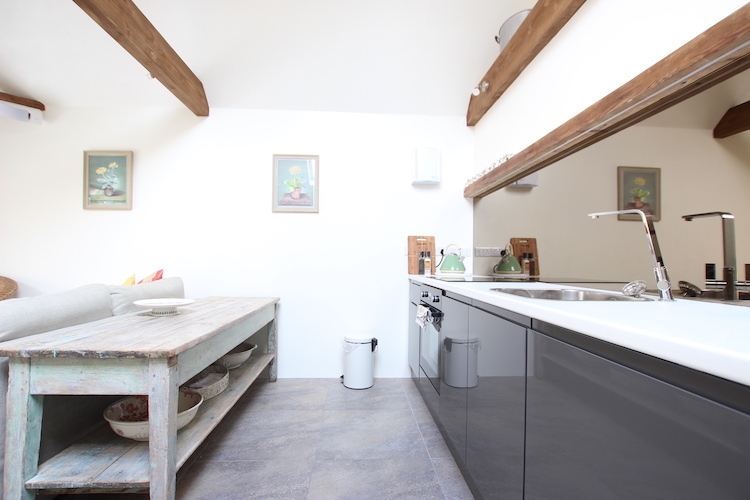 There is a shared washing machine and tumble dryer in an outbuilding. 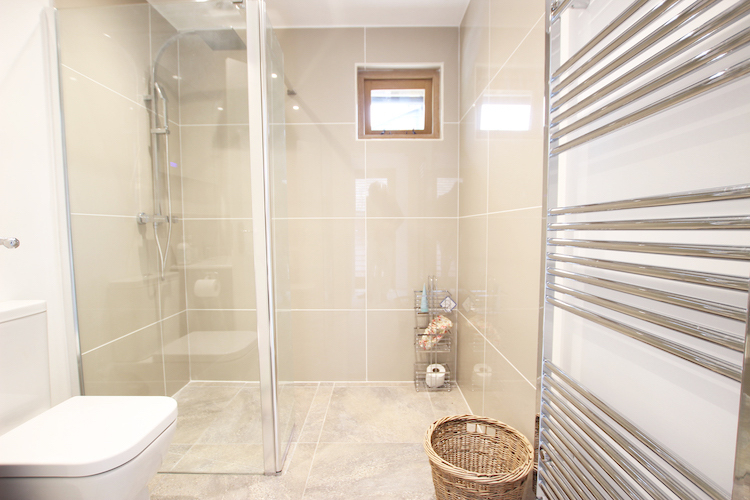 The shower-room provides a large walk in shower, WC and basin as well as featuring under-floor heating. 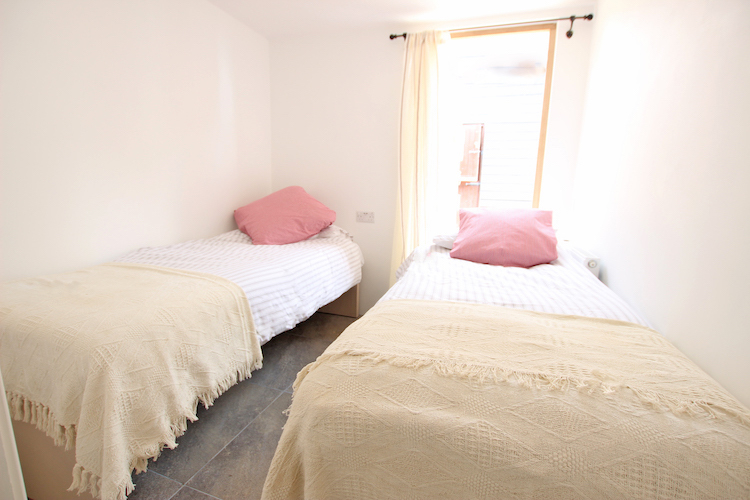 The second bedroom has a single bed with a quality pull-out to sleep 4. 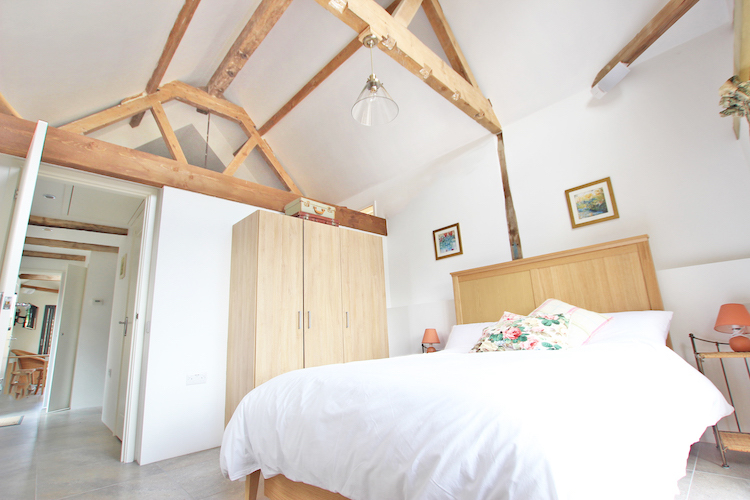 The light and airy master bedroom has a beautiful vaulted ceiling, a king size bed and plenty of wardrobe storage. 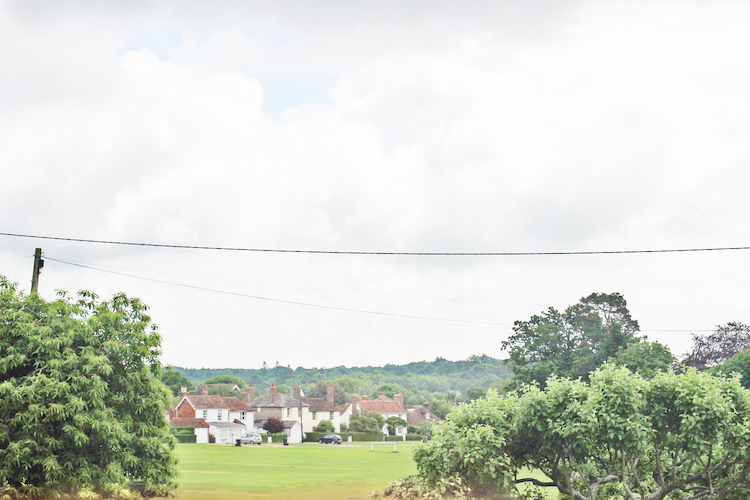 Woodchurch has been voted Kent’s Best Kept Village on many occasions and the village green is at its heart – being surrounded by a good number of impressionable period properties has played a big part in its success. 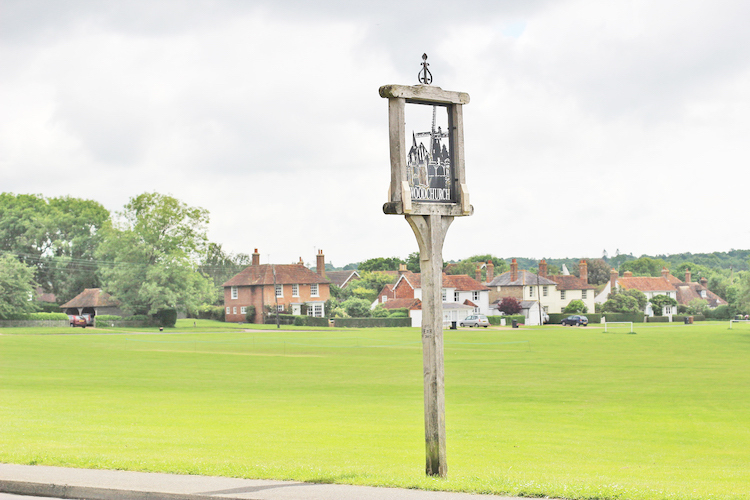 Watch a lazy game of cricket or walk up to the windmill and enjoy a pint or a nice meal in one of the two village pubs. There is an excellent butchers, a post office and a general store all within a two minute walk! There is a fenced child’s play area with swings on the green. 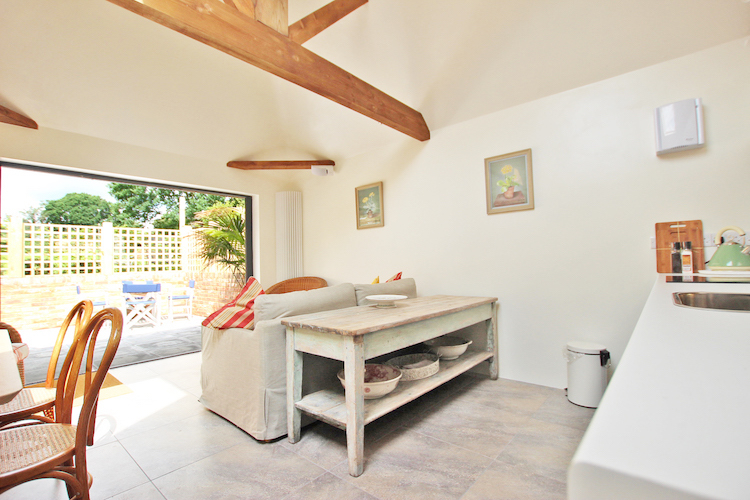 If you want a charming village location then it doesn’t come much better than Woodchurch! The historic hilltop town of Rye is just a 10 minute drive and the lovely Tenterden with a great range of shops and restaurants is just 4 miles away. World famous Canterbury, Leeds Castle, Sissinghurst Castle and Gardens are all less than half an hour’s drive. A fast train service to London in 38 minutes or the Eurostar are available from nearby Ashford. Good Pub just a 2 minute walk.